Alan Read has been riding for about 5 years. He learned to ride at his local juggling club to add to his circus skills. After seeing his first Mountain Unicycle, he was sold on the idea and due to lack of availability in South Africa, started OddWheel Unicycles. 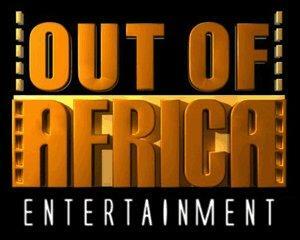 OddWheel has slowly grown and is helping to develop the unicycle scene in South Africa. In 2008 Alan completed, on a 36er, the 94.7km Highveld Stereo Cycle Challenge in Johannesburg to help raise funds for the Reach for a Dream Foundation. Preparation for this included many cycle races ranging from 50km to 85km. This also helped create awareness for our growing sport. Shortly afterwards he was back on the Mountain Unicycle, as off road riding is more his passion. In February 2009 competed, on a 29er, in the Sabie/Subaru Mountain Bike Challenge in Sabie, Mpumalanga. This was a tough 40km off road race in the searing African heat. Preparation for this included cross-country ‘fun rides’ around Johannesburg and Pretoria. In March 2010 Alan completed the Cape Argus Cycle Tour, 109km on his 36er. Training included numerous cycle races ranging from 40 to 85 km. This should give a good foundation for his training for the Freedom Challenge. In October 2009 he and girlfriend Donna, moved shop to Cape Town, where the unicycle scene has been developing nicely. 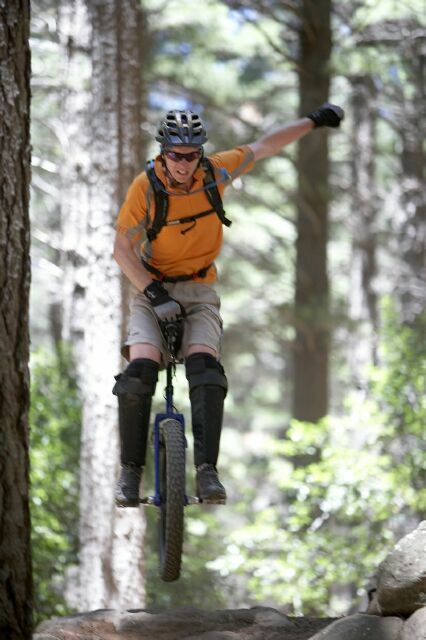 Due to the great riding terrain, mountain unicycling has been the most popular.